You don’t need one more thing on your plate as you ramp up for Easter. Unless that one thing would assimilate your Christmas newcomers, build momentum, and expand your capacity to do ministry. What if you decided to see your Easter to-do list as the perfect opportunity to get more volunteers and develop new leaders. We’ve found that Easter is one of our best times to expand our serving core. It’s an all hands on deck first-serve that motivates newcomers and bystanders to take a first step into ministry. Urgency. There’s a deadline looming. Easter is only (fill in the blank) weeks away. Limited. It’s easier to get involved knowing there is an end to this project. Meaning. It feels good to help the people in your city find a home in your church. Community. There’s friendship and belonging in preparing for Easter. Momentum. There’s an excitement in your church as everyone works together. 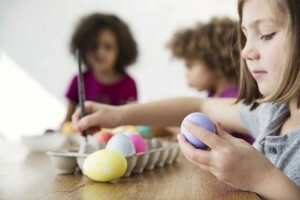 You can do so much more than just get warm bodies to get the Easter to-do list done. You can see Easter as a strategic opportunity for first-serve experiences that lead to new people on serving teams; and for leadership development experiences that lead to more confident leaders. 1. Be clear about what is needed. Find out from your leaders where they need extra hands on Easter. At my church we have extra greeters everywhere. We amp up refreshments so we need extra preparers and servers. Our children’s ministry needs more baby holders, toddler chasers, and elementary small group leaders. Our teens need young adults to chat away the awkwardness. Our arts team needs every artist in the building. Our outreach team needs door-hanger droppers. Our prayer team needs prayer-walkers. Our facilities team needs Work Day volunteers. Name and describe every Easter volunteer role. Just a sentence forces your leaders to think it through; and it makes your potential volunteers more comfortable to say yes. Put the positions and descriptions on an insert for the weekend program. Announce the ministry opportunity as part of your Easter ramp up for three weeks beginning five weeks before Easter. In the announcement, cast a little vision for the benefit to the Easter visitor and to potential volunteer. Easter week is the most important week on our calendar. It’s the easiest week to get a friend to come to church. It’s the highest attended week of the year. More people come to Christ than other other day. It’s our Super Bowl. During Super Bowl week everybody is fully engaged. If Jesus can go to the cross for us, we can fully engage for Him. So we ask that you bring a friend or serve in every service. We have needs in every area. Look in your program for this flyer (hold it up). Check one or two things that interest you, write down your name, phone, and email, and we’ll get in contact with you. Thank you for being willing; for doing your part as we work together to reach our community for Christ. Those Easter volunteer inserts that get turned in with names of people willing to volunteer need to be sorted on Sunday afternoon, and the names emailed to leaders on Sunday night or first-thing Monday morning. Now it’s time to review with your leaders best practices for assimilating new volunteers. 2. Keep in touch with new volunteers leading up to Easter. Start with these common sense practices to make your current leaders more successful in assimilating new Easter volunteers. Call them within 24 hours after they volunteer. Thank them for their help and reinforce that they will have a great experience. Confirm that they are willing to help in that role, and agree on which service. Tell them when to arrive, where to go, and who to look for. If there is time, arrange to meet them at church before Easter. Orient them to what they’ll be doing. Follow up a few days after the call with an email putting the details in writing. 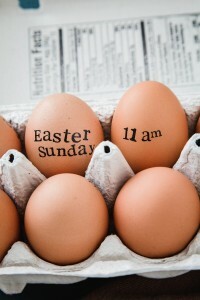 If there is a gap between when the get the email and Easter, then text, call or email on Monday of Easter week. Ask if they have any questions and tell them you are praying for them. Be sure you are. Call 48 hours before to confirm. 3. Treat first-serve volunteers well on their first day so they will trust you. Will I have friends here? The leader’s job is to be sure their answers are yes, yes, and yes. Have someone ready to welcome them and help them to their place when they arrive on Easter. Stay near and check in at some point to be sure they feel comfortable and successful. Thank them and cast vision again for the importance of what they did. Yes, leaders are busy on Easter serving the donuts or chasing the toddlers, but that new volunteer may be the most important thing you do that day. New volunteers who feel used or lonely or uncertain drop out. You change everything for would-be volunteers when you communicate frequently, when you want the best for them, and when you help them succeed. They will begin to trust you. It’s the follow up after their first-serve that turns serving once into a lifetime of ministry. 4. Follow up with new volunteers immediately after the serving. This is the most important moment – when a one-time volunteer becomes a regular team member. It’s best if it happens in person right after the serving experience or, second-best, within 24 hours on the phone. Ask, “What did you think?” He will probably say that he enjoyed it. Then ask, “Would you like to do this regularly/again?” Likely another yes. Affirm the volunteer and the value of the ministry, then talk about the next step: an orientation or coming to serve again. This combo of staying in touch before they serve, giving them a good experience on their first-serve, and asking if they would like to do it more is a powerful method of assimilating new volunteers. Now let’s take it up another level. You’re adding volunteers. You’ve equipped your current leaders to bring them on successfully. Would you like to get more leaders out of Easter, too? Create a few new leadership roles to give some people an experience in leading a ministry team. You don’t need to load more on your few already overloaded leaders. 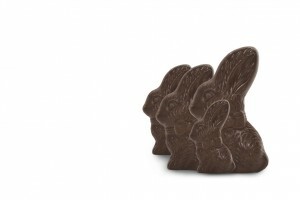 You can make your Easter extras a great opportunity for growth for a few rising leaders. Look for new leaders to lead Easter teams for hospitality/refreshments, parking lot greeters, or special events for the kids – a carnival or Easter egg hunt. Are there millennials or new believers that are under-engaged? Easter is a great opportunity to give them experience leading a ministry team. 1. Here’s how to discern who to ask for your Easter first-lead positions. Is FAT: faithful, available, and teachable. Has capacity – not the go-to, overburdened soul who always says yes. Is already a believer who has decent people skills. This is about leadership development, not perfection. You want someone who has room to grow as a leader in your church. 2. Here’s how to ask someone to lead an Easter project team. Think first about where you need leaders. Think about why you’re asking the person the Lord has brought to mind. Call or meet to make the ask. Tell her why you have the position and why you’re asking her, and what it will involve. Set up when you’ll hear back if she wants to think about it. Pray together. On the happy occasion that she says yes right away, be prepared to go over the major action steps. Voila! In the middle of Easter season, you have a couple of new leaders test-driving leadership, and you’ve equipped your ongoing leaders with new standards for bringing someone on to their team, and you have more volunteers serving. Decide that you want to get more volunteers and develop new leaders this Easter season. 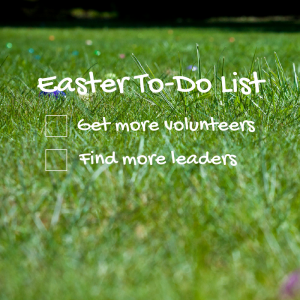 The action steps to get volunteers and leaders for Easter. A sample spoken announcement for weekend services. How to onboard a new volunteer for Easter.